Section 1962(c) also requires that the defendant “conduct or participate, directly or indirectly, in the conduct of such enterprise’s affairs.” The Supreme Court has interpreted this language to mean that a defendant must “operate or manage” the enterprise. Reves v. Ernst & Young, 507 U.S. 170, 183 (1993). An enterprise is “operated” not just by upper management but also by lower-rung participants in the enterprise who are under the direction of upper management. An enterprise also might be “operated” or “managed” by “others associated with” the enterprise who exert control over it as, for example, by bribery. Reves, 507 U.S. at 184. Given the Supreme Court’s crystal clear guidance in Reves, the question of whether a particular defendant actually operates or manages an enterprise is generally considered by the lower courts to be a question of fact that is left to the jury. United States v. Allen, 155 F.3d 35, 42-43 (2d Cir. 1998); see also Davis-Lynch, Inc. v. Moreno, 667 F.3d 539, 551 (5th Cir. 2012) (plaintiff was not entitled to summary judgment; operation and management of enterprise was not established by the mere fact that the defendants received funds or materials resulting from the scheme). Professionals, however, are one group of defendants who have clearly benefited from the Supreme Court’s “operation or management” test. Generally, courts have held that a professional (such as a lawyer, banker, consultant or an accountant) carrying-out their duties in accordance with generally accepted standards of the professional and without knowledge of the RICO violations, cannot be considered operators or managers of an enterprise and, thus, cannot be held liable under the statute. See Reves, 507 U.S. at 186 (dismissing RICO claim against accounting firm); Crichton v. Golden Rule Ins. Co., 576 F.3d 392, 399 (7th Cir. 2009) (RICO claimed dismissed where the plaintiff did little more than plead facts suggesting the existence of the marketing relationship between the defendant and the enterprise; allegations that a defendant had a business relationship with the putative RICO enterprise or that a defendant performed serves for that enterprise do not suffice to establish operation and management); Walter v. Drayson, 538 F.3d 1244, 1249 (9th Cir. 2008) (attorney and her law firm were held not to be operators or managers of the enterprise; “[s]imply performing services for the enterprise does not rise to the level of direction, whether one is ‘inside’ or ‘outside'” the enterprise); Dahlgreen v. First Nat’l Bank, 533 F.3d 681, 690 (8th Cir. 2008), cert. denied,129 S.Ct. 1041 (2009) (stating: “[a] bank’s financial assistance and professional services may assist a customer engaging in racketeering activities, but that alone does not satisfy the stringent ‘operation and management’ test of Reves”); Handeen v. Lemaire, 112 F.3d 1339, 1350-51 (8th Cir. 1997) (discussing whether the defendant law firm operated or managed the alleged enterprise). At least one court has also held that members of an association-in-fact enterprise do not operate and manage the affairs of the enterprise by engaging in their own affairs (as opposed to the affairs of the enterprise) or by simply engaging in a “normal commercial relationship” with each other, even if the relationship results in a fraudulent transaction that injures the plaintiff. United Food and Commercial Workers Union and Employers Midwest Health Ben. Fund v. Walgreen Co., 719 F.3d 849, 856 (7th Cir. 2013). 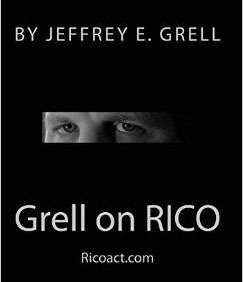 “RICO is not violated every time two or more individuals commit one of the predicate crimes listed in the statute.” Id. at 851. [Defendant] argues that the plaintiffs must plead that each defendant committed two predicate acts, as opposed to the enterprise as a whole having committed at least two predicate acts. He cites no case law in support of this argument, and we have found none. [Citation omitted.] Indeed, requiring two acts by each defendant is contrary to the instructions in Reves that someone can participate in an enterprise “directly or indirectly” in violation of RICO. Jackson v. Sedgwick Claims Mgmt. Serv., Inc., 699 F.3d 466, 482 (6th Cir. 2012).